The USC Thornton School of Music, Inner City Youth Orchestra of Los Angeles (ICYOLA) and Los Angeles Chamber Orchestra (LACO) have teamed up to launch a post-graduate fellowship program for musicians from underrepresented communities on the verge of launching careers in orchestral performance. A unique partnership between one of the world’s leading chamber orchestras, the country’s largest African-American-majority youth orchestra and a university with one of the country’s top music programs, the program seeks to address the lack of diversity within American orchestras, in which less than 5 percent of the workforce is African American, Hispanic or Native American, according to a 2016 report on diversity issued by the League of American Orchestras. 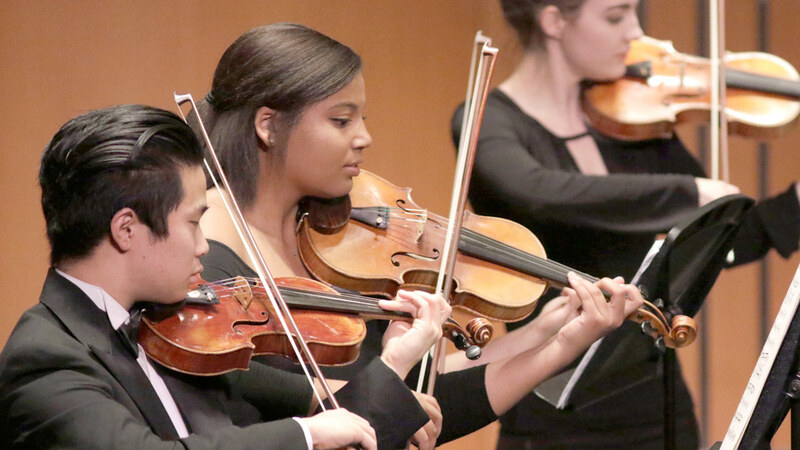 The program will recruit two violins, a viola and a cello to USC Thornton, one of the country’s top music programs. The fellows will perform and practice with Los Angeles Chamber Orchestra, one of the world’s leading chamber orchestras. And they will teach, mentor, and perform alongside young musicians in the Inner City Youth Orchestra of Los Angeles, the country’s largest African-American-majority youth orchestra. The program is funded by a $700,000 grant from the Andrew W. Mellon Foundation. The fellows receive a range of practical in-the-field experience, including in-depth mentorship, rehearsal, performance, mock audition opportunities with LACO as well as teaching and performance opportunities with the Inner City Youth Orchestra of Los Angeles, a 131-member orchestra. Fellows who complete the in-residence training fellowship will also be awarded a graduate certificate from USC Thornton. All the while, the fellows will perform as a string quartet throughout the city representing all three institutions. The two-year in-residence training program includes unprecedented audition support designed to prepare fellows to win auditions in professional orchestras. Fellows receive mentorship from professional musicians focused on their career development, as well as serve as mentors to young musicians in an effort create future generations of musicians. Four individuals will be accepted to each cycle of the program – two violins, a viola and a cello. A team of administrators from each of the three participating organizations will manage the program. Fellows will together comprise a string quartet representing all three organizations that will perform throughout Los Angeles, providing an opportunity for them to further develop their musical decision-making, communication, presentation and performance skills. Information on the Los Angeles Orchestra Fellowship and how to apply will be available this link.